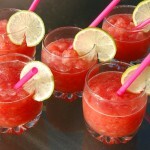 This may be the BEST Strawberry margarita I have ever made!! Omit the alcohol for a kid-friendly version. 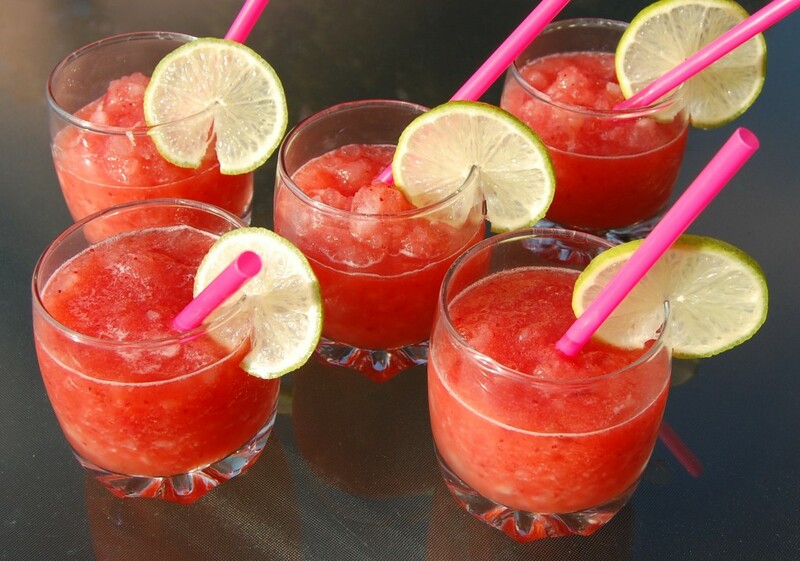 Fill a blender with ice and crush. Pour in tequila and triple sec. Add strawberries and limeade. Blend for 30 seconds or until smooth. Serve in chilled glasses with salted rims. Grarnish with a lime slice, if desired.